Just take a look at a couple of pictures to see it with your own eyes – bent glass is one of the most stylish decorative approaches. It looks incredibly modern and memorable, and cannot but catch the eye. If you are looking for units that feature modern and exquisite style, this is the best option you can go with. Quite obviously, svelte shapes and partially fluid design is a gorgeous fit for any living room, decorated in modern style. It can also become a nice fit for mixed interiors, featuring a stylish combination of traditional and contemporary furniture. Bent glass can feature a lot of different shapes. Some of them will be rather standard, some others will be quite abstract. Obviously, if you have a mixed interior theme in your living room, you should better go with classic-adjacent design. 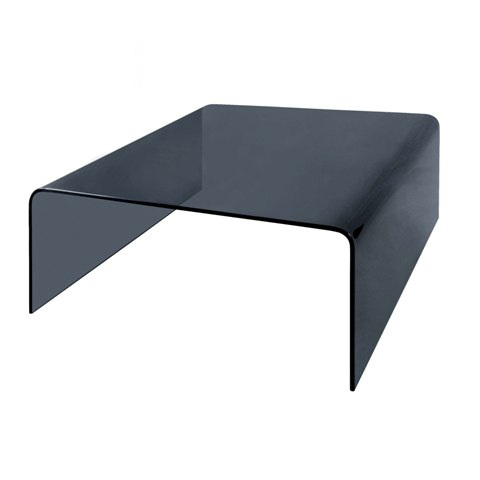 Black table is perfect for contrasting any other interior palette, and it looks especially great in contrast with light shades. Given that light shades have been incredibly popular during recent years, black coffee table can create a perfect contrasting relief. 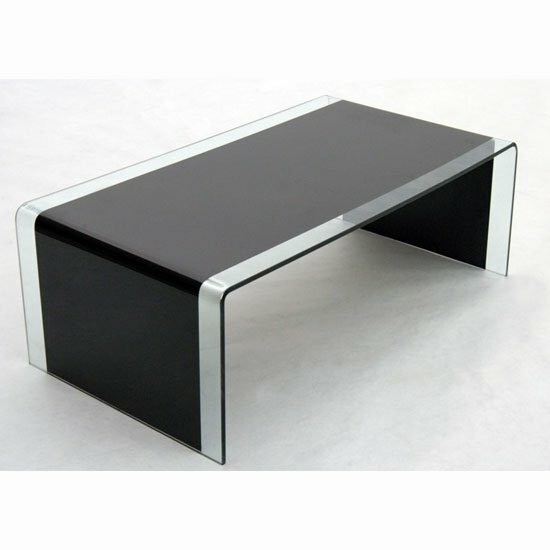 On the whole, black bent glass coffee table is a very modern decoration solution, which is at the same time relatively neutral. To put it simply, you can combine it with practically any other modern furniture units. The last but not the least – tempered glass is one of the safest, most durable materials in the furniture market. In addition, all glass furniture is easy to maintain, it does not require any special care, and it preserves its new look for years. 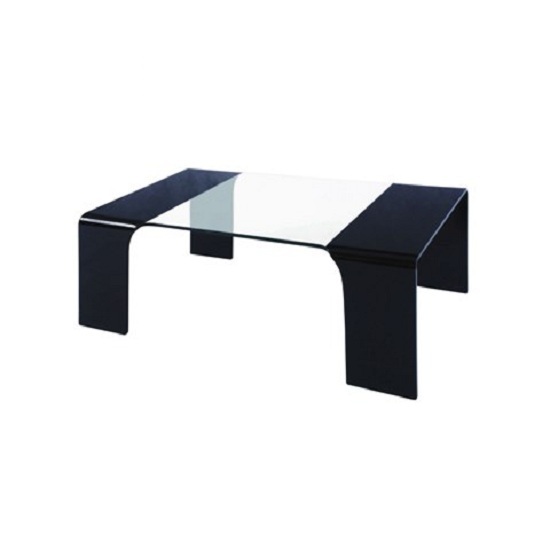 Note, however, that black bent glass coffee table is not the cheapest decorative solution is the market, and if you are looking for a store that can offer you competitive prices even on such trendy units, take a look at Furniture in Fashion . This is one of the major stores in the UK, offering an enormous selection of stylish, contemporary solutions and reasonable pricing policy on most of the distributed products. In addition, the company regularly introduces new discounts and promotions, and it is possible to purchase some of the items at quarter of their initial price.